This body lotion makes your skin smooth and soft and provides you a long lasting fragrance. 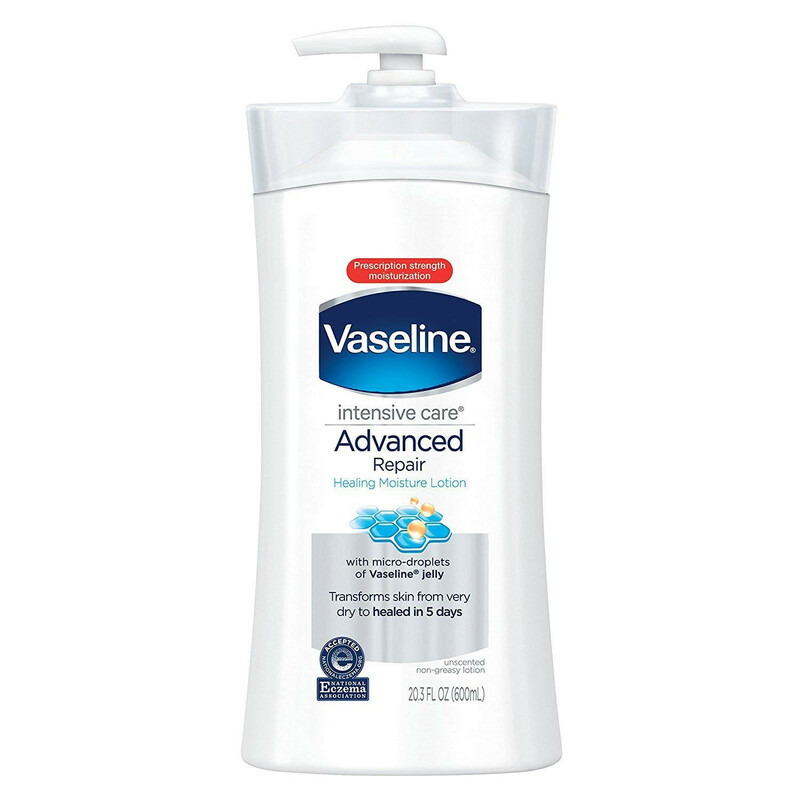 Vaseline Intensive Care Advanced Repair Unscented Lotion provides fast-healing moisture for dry, itchy skin Micro-droplets of Vaseline Jelly lock in moisture to relieve even stubborn dry skin Absorbs fast for a non-greasy feel. Fast-healing moisture for when your skin’s dry and rough and relieves even stubborn dry patches.Appropriate for sensitive skin and absorbs fast for a non-greasy feel.The result is a rich yet quick-absorbing formula that gives you intense moisturization as well as a soothing scent. This lotion will give you immediate relief and moisturization, resulting in healing your dry skin.